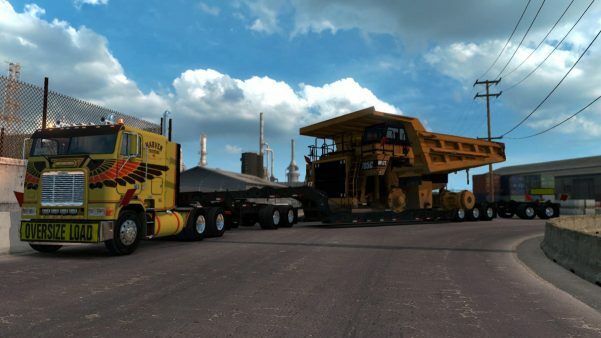 Cytat: This mod adds CAT (aka MUTT) 785C as a new heavy cargo to your game. – Updated for game version 1.32. It requires Heavy Cargo Pack DLC because it uses some resources from that pack (jeep, spreader and some textures). The trailer provided with this mod is a modified 3 axle “Lowboy 55L” (aka Magnitude 55L) with added spreader attachment. Note: this load is very wide, wider than any currently available cargo in ATS – that might cause some issues.